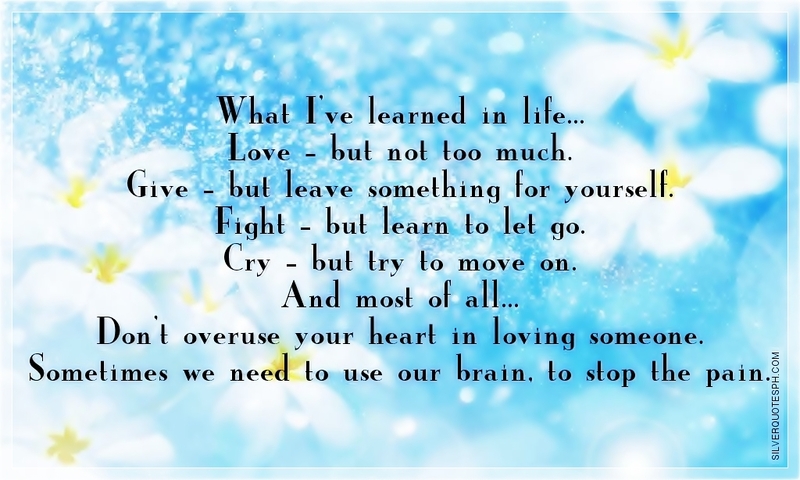 What I've learned in life... Love - but not too much. Give - but leave something for yourself. Fight - but learn to let go. Cry - but try to move on. And most of all... Don't overuse your heart in loving someone. Sometimes we need to use our brain, to stop the pain.